With the final Christmas installs complete and Santa coming in less than a week, we get to take a step back and reflect on another successful season at Classic Displays. 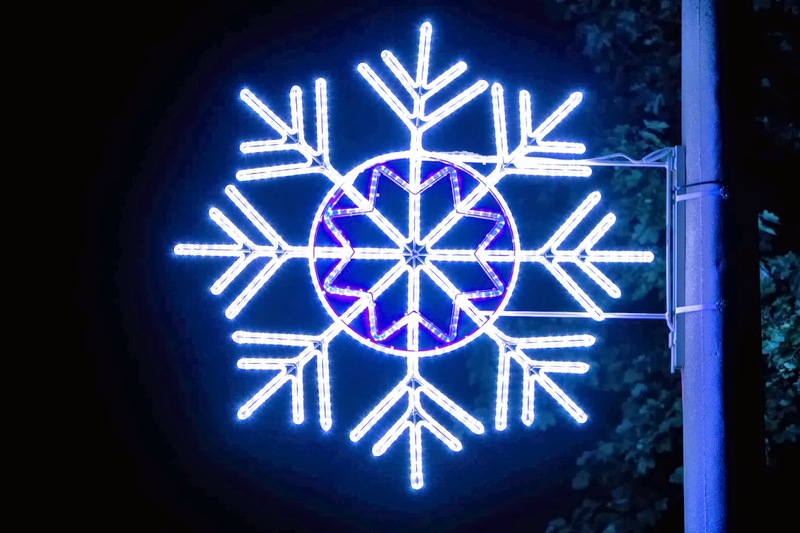 It has been a busy few months for us, starting with the introduction of our new LED snowflakes. 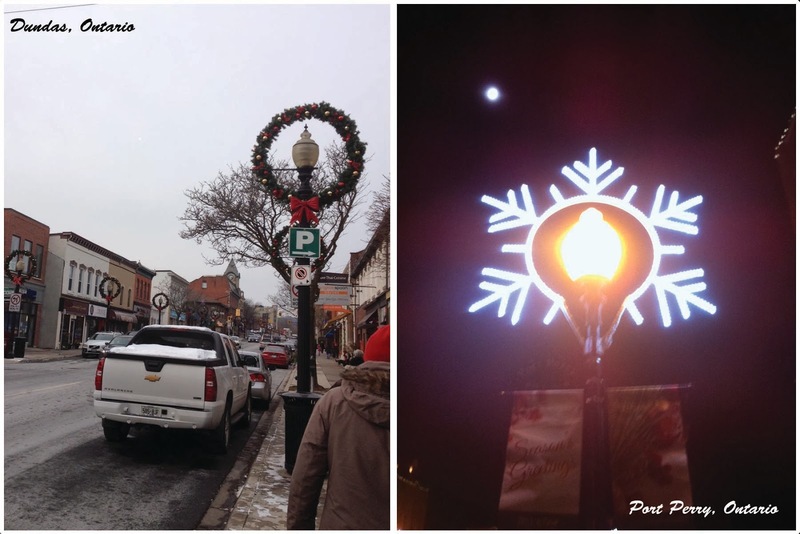 From there the orders started pouring in; we had existing customers calling to renew contracts and add new décor to their existing displays and also received a number of calls from new customers looking to add a touch of Christmas to their properties and city streets. Before we knew it, 239 units had been ordered in the month of September alone. 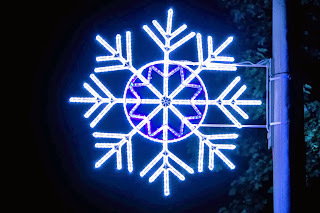 That included the first order for one of our new snowflake designs, coming from the Ancaster Heritage Days Advisory Board, and a large order of a variety of our displays from Lac La Biche in Alberta. 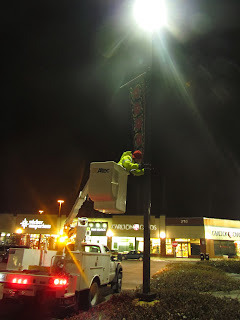 While production ramped up in October, and our warehouse crew began packing and shipping existing displays that we store for our customers in the off season, our installation crew began installing tree lighting across the GTA. Once Halloween had come and gone, it began to look less like Christmas in our warehouse and more like Christmas to everyone else, as displays began popping up practically overnight. On any given night in November, our crews could be anywhere in Toronto, and the next they would be in Cambridge, or Bowmanville or Kingston, working hard to bring the Christmas spirit to the masses. 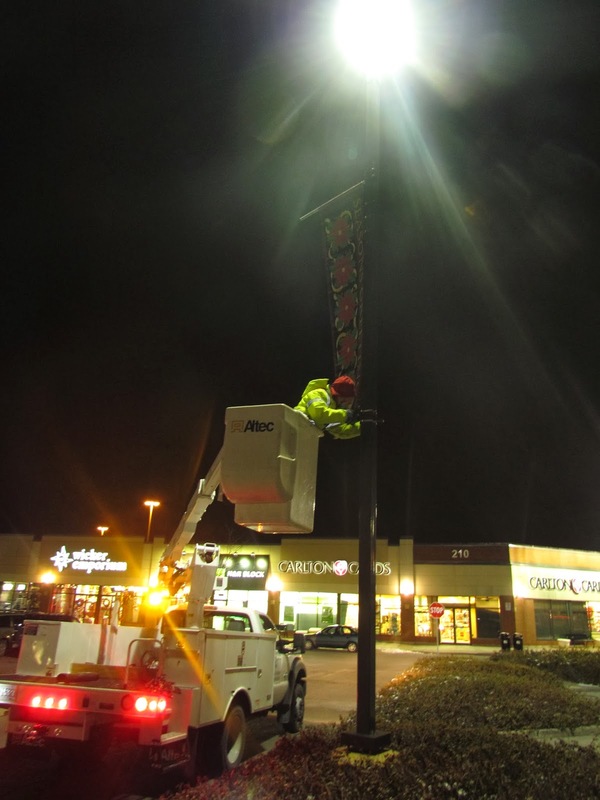 Luckily for them, the weather was on their side and the snow held off until after our installations were finished. When all was said and done 520 new units had been produced and 180 installs had been completed. As the team at Classic Displays looks forward to a relaxing Christmas holiday spent with family and friends, we want to take a moment to wish everyone a Merry Christmas and all the best in 2014!